I grew up in middle Tennessee in a “blended family” that includes myself, my parents, and my adopted twin sisters, Hope and Faith. They are now 15 and are way cooler than me. I was lucky enough to have parents who encouraged/forced my sisters and I to go outside at any opportunity. We grew up constantly going on family camping trips, hiking and kayaking on the weekends. I even went backpacking with my dad a couple of times. I didn’t realize how lucky we were until I “grew up” and saw how rare that sort of thing was. 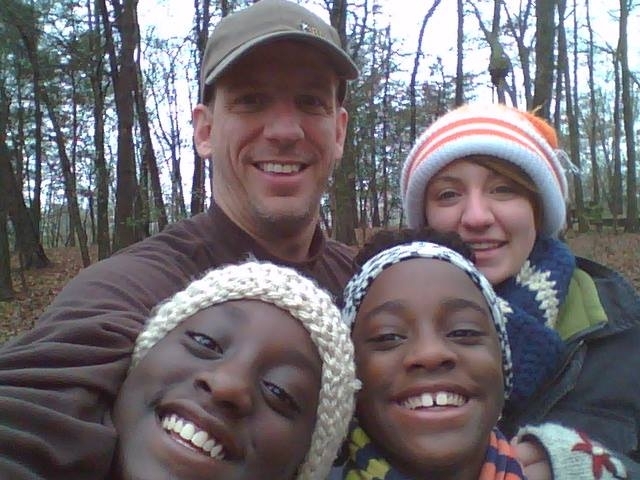 An old classic – hiking with dad and sisters, circa 2014. 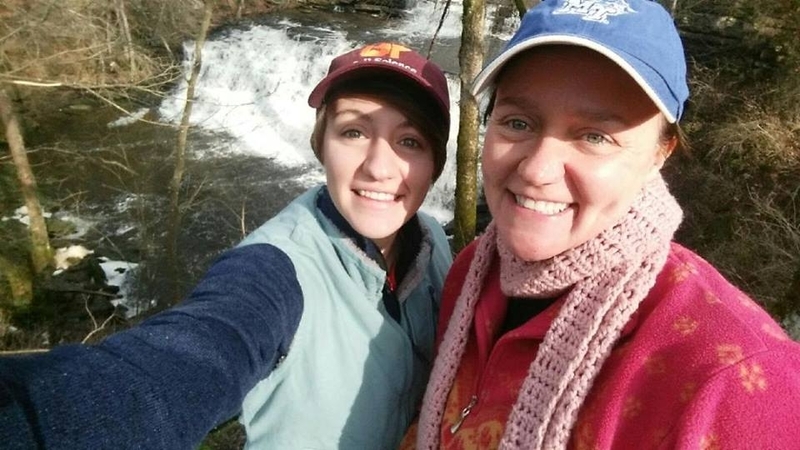 A more recent hike with my super cute mom. So yeah, I really like to be outside. I guess that’s the main reason I’ve been wanting to hike the AT since I was about 13. Spending sixish months of my life in the woods sounds like an absolute dream to me. More importantly, the AT has been a goal that has gotten me through some tough times. I have struggled with mental health for my entire life, and setting goals has been one of the best ways for me to cope with depression and anxiety. There’s nothing better than to wake up and think about something positive and exciting that you’re planning on doing. The AT has been the sole reason I’ve gotten out of bed more than once. Me and my hiking/adventure/life partner, Isaac. But that’s not to say planning for the AT has been a breeze. In fact, it’s often a source of anxiety. The financial burden of saving for my thru-hike is daunting, especially when I think about the thousands I owe in student loans. I have been serving in AmeriCorps (which is awesome, btw) since January and the living allowance you receive during your service is pretty meager. My term of service is over at the end of November this year, at which point I’ll start working two jobs and scramble to save the money I’ll need by March 2019. So far I’m just telling myself it will work out, which has been a fabulous opportunity to test my patience and faith in myself. It’s a great opportunity to learn and grow, which is one of the best things I’ve gotten from planning to thru-hike so far. I’m sure that growth will continue exponentially on the trail next year. Nice job! Are you taking red Power Ranger? Yes I would agree with the flying squirrel comparison. Thanks for validating that I’m cute. We are very proud of you and are excited for your adventures! Can’t wait to hear about, and make fun of, every bit of your adventure! SCIENCE NERDS RULE! Please wear supportive footwear and stay hydrated. Don’t take any wooden pickles. Of course you can call me Bert, you’ll always have that privilege. I’ll be sure to take your advice – I’ll double check ALL pickles before accepting! I went to high school with your dad and live 10 minutes from the AT headquarters in Harper’s Ferry, WV. I have hosted 2 groups of thru hikers and would be happy to host you and Isaac. You would have a basement guest and bathroom to yourselves and I really like to cook. Or if you’d rather, we can treat you all to dinner, take you Walmart and set you back on the trail. Wow, sounds fantastic! I’m all about it, thank you for the offer! I used to work with your mom and she shared the link for this on FB! We’ve never met, but I gotta say this looks like an awesome adventure you have planned and I’m excited to read more about your journey. Best of luck to ya! Thank you Janee! I’m so glad to have you rooting for me from the sidelines. Much love! Welcome, Phoebe! I’ll be NOBO (and blogging) for 2019 too 🙂 Best of luck with planning! I’m so proud of you and what you have and are accomplishing. I don’t know if you remember this or not since you were only about 5 at the time, but I remember taking you and Jenny out on a bird walk one time when we were in Pocahontas and pointing out an Eastern Phoebe to you. I shared my bird ID book and you both seemed very excited about birds. Of course, I loved that, since I’m an avid birder (notice I didn’t say expert). I even have a picture. If I can dig it up, I’ll share with you. All the best to you on the trail! Omg I think I remember that! How crazy is that? Hi Phoebe! 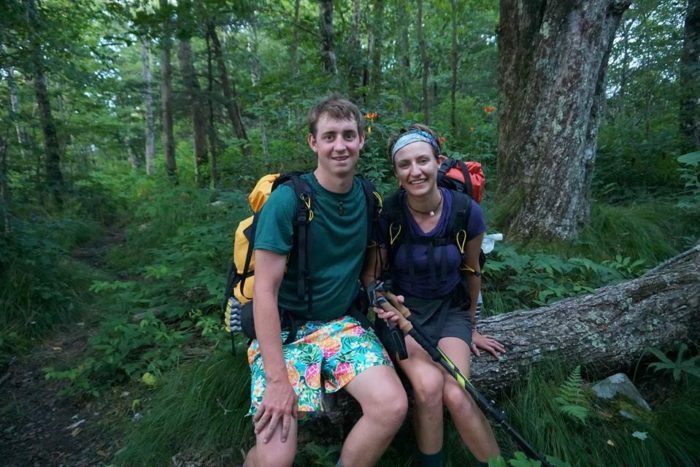 I’m also planning a 2019 flip flop with my adventure partner/boyfriend Garrett 🙂 and also will be blogging for The Trek (first post still in progress). Would love to talk flip flop plans if you’re interested! Hey Kira! That sounds awesome. I added you on Facebook! Just read several of your articles. Didn’t take me long to decide to subscribe. Looking forward to what you have to share about the trail and things in general.